238/250 is part of the 2016 Super Treasure Hunt set and 8/10 in the HW Games series. 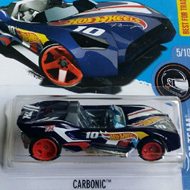 The Spectraflame blue car boasts red circle outlines, red oval stripes, and a wide red stripe with double white stripes down the top. 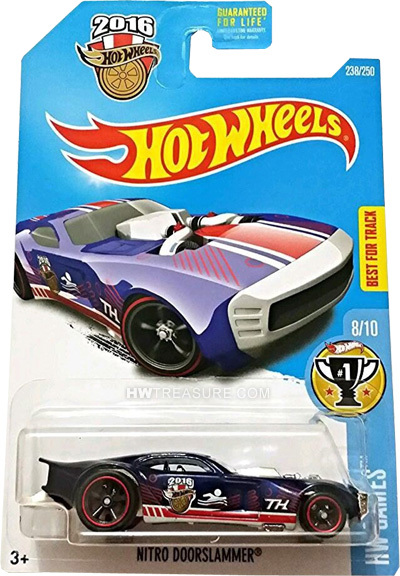 The sides feature “TH”, a swimmer logo, and a gold wheel medal with “2016” and the Hot Wheels logo. Along the rocker panels are red & white stripes. The car has clear windows, a chrome interior, black Real Rider wheels with red rims, and a white plastic Malaysia base. 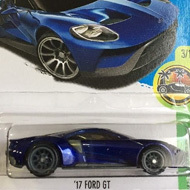 This vehicle can be found in mix “P” of 2016 Hot Wheels mainline cases. The Nitro Doorslammer made its debut in the 2007 New Models series. It is a unique design of a drag racing car that sports a wheelie bar.